NO Holds barred radio is a talk/comedy show that began in 1993 on a college radio station in New Jersey. IN 1999, it took to the internet where it became an uncensored free for all, where comedy mixed with real life ranting to form a volatile mixture. The first of its kind on the internet, No Holds Barred Radio soon grew to a network of tens of shows and even spawned other networks of similar content. After a while, though, and several cohost turn overs, the creator of the show, damon, and his current cohost, Liam, grew tired of the station and found solace in going back to its roots, one show on a private server, free of constraints from 15 years of history on a network that went in a different direction from the original premise. Damon Fibraio created No Holds Barred Radio. Through its 21 year history, there have been many cohosts and directions, but Damon is the originator and the singular constant of the show. Known for his brute honesty, twisted whit and frequent temper tantrums, not to mention hundreds of song parodies, Damon does his best to keep the show flowing at all costs. Graduating from Monmouth University with a Bachelors Degree in broadcast communications, Damon had the technical knowledge to figure out the burgeoning internet broadcasting technology to make NHb a reality. Liam Erven joined up with the No Holds Barred Radio network around 2002. a graduate of the Illinois Center for Broadcasting, Liam was a part of the first generation of shows that created the network. Liam, too, has extensive production capability and an extremely twisted sense of humor. He had done a couple of shows, either on his own or with cohosts, before joining up with Damon in 2007 as the current cohost of the No Holds Barred Radio show. Despite several breaks, even through a different lineup change in 2012-2013, he has continued to come back to the show and he currently runs the server that hosts the show in its current form. Liam has computer program knowledge as well as production knowledge which has contributed to the web site design. 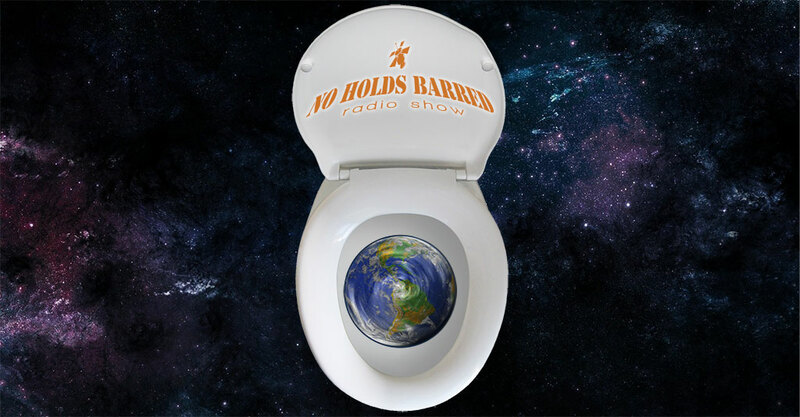 the goal of the No Holds Barred Radio show is to make you laugh. Yes, the content can be extremely offensive and politically correct, but the show is all about having fun and in a lot of ways, is good therapy for the hosts. They pull no punches and speak their mind, but with a sense of fairness. they praise the good and trash the bad. But in the end, it is all about entertaining, if not the listeners, then each other. There is good natured ripping on both sides of the table, but in the end, it is all about making people laugh and making people think. This show, however, is not for the easily offended, politically correct or the squeamish. It is a show that stands up to its name. It truly is No Holds barred. As of 2017, the No Holds Barred Radio has ceased to broadcast regular live shows. Life for both hosts has taken them in different directions making it unfeasible to create a live show on a regular schedule. Both Liam and Damon plan to continue to update the 24/7 live automation along with surprise appearances from time to time.